After our little stop in Italy it is now time to continue our journey around European wines and head to another warm and sunny country: Spain! Known for their fiestas, tapas and culture, Spain has also a lot to offer on the wine side. This week we are going to focus on Ribera del Duero as I am quite curious to discover those high quality red wines. We are going to focus on a price range between £8.00 and £18.00 (9€ and 22€). 18 Jun	This entry was published on June 18, 2012 at 9:46 pm. 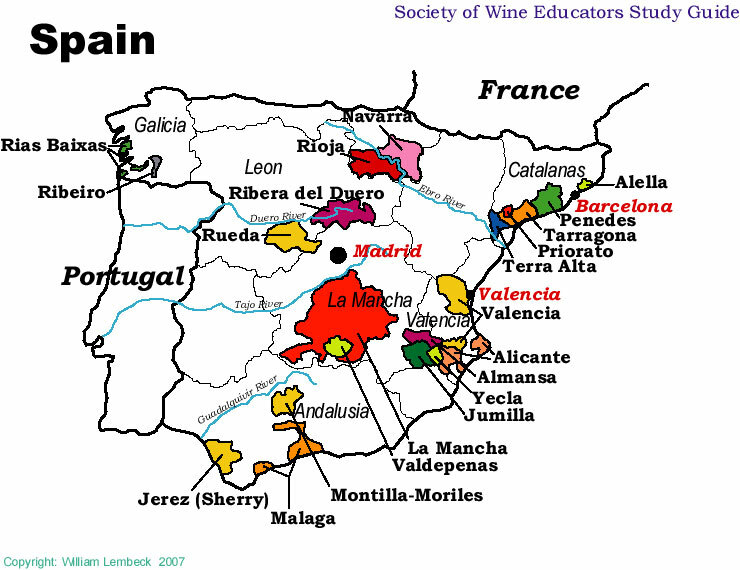 It’s filed under Countries, Learn More, Old World Wines, Spain and tagged learn, red grapes, red wine, Ribera del Duero, Spain, wine. Bookmark the permalink. Follow any comments here with the RSS feed for this post.